Just an update to let you know all remaining posters ordered will be going out this week in several shipments. 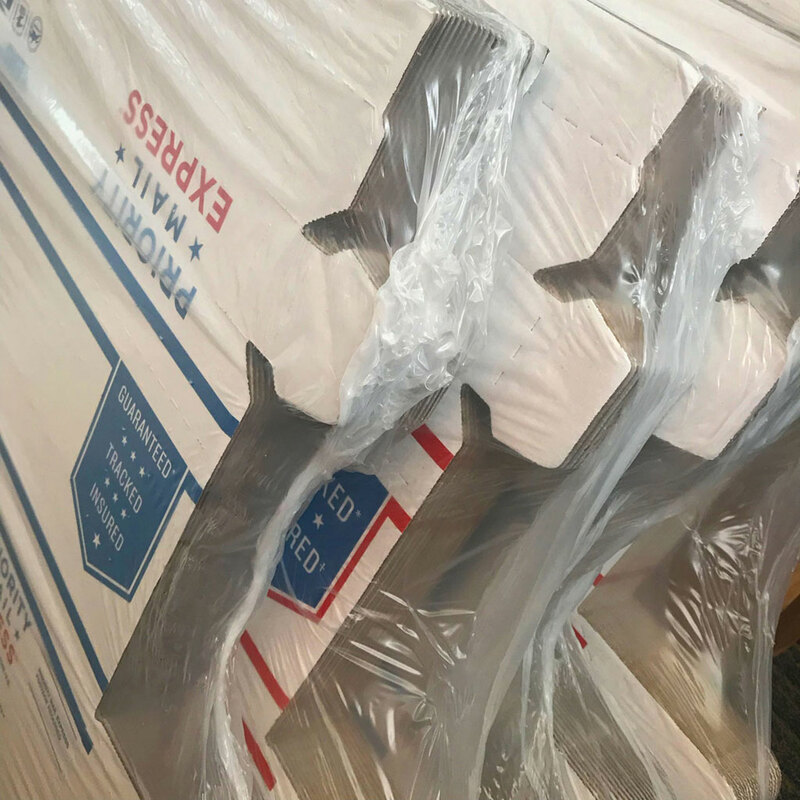 If you haven’t received yours yet, be on the lookout for an email with your tracking number by Friday, April 12th. I have switched from round tubes to triangular to prevent any further damage from postal heavy-handedness. If you received yours damaged in transit, please direct message me! New mailing tubes for this week. Also, this weekend is Tiki Oasis Arizona. Go and have fun! Sorry for the delay, I’m about six weeks behind schedule on the book. It will be worth it though. Turns out, I had several last-minute interviews with some very interesting folks. Some great new information from those interviews has made its way into the book. I’m adding new/old photos from several archives I visited. 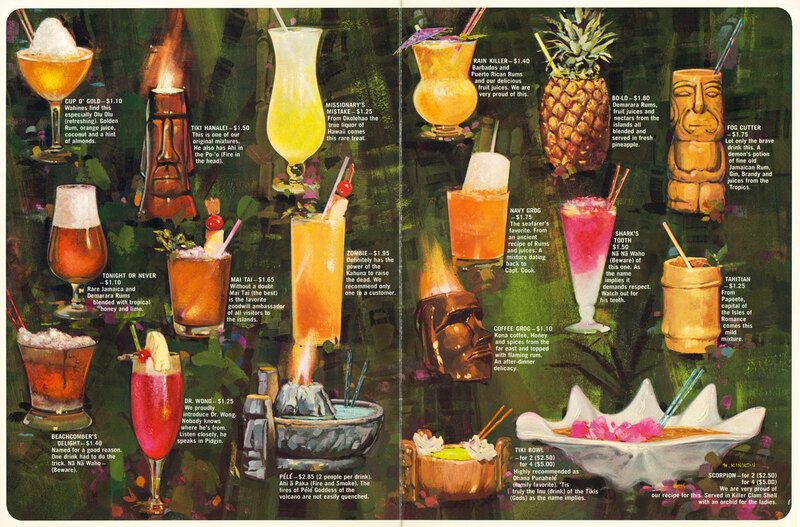 And some delicious drink recipes from San Diego tiki bars! Next week I’m finishing the layout for the book and turning it over to my colorhouse for prepress work. There, they edit, compose and prepare the supplied files, making them print ready — Adobe InDesign files are edited, photos are color-corrected. Some photos have been supplied by historical archives as digital files, some as prints which must be scanned. We use desktop scanners for small items. Larger items are shot on a Cannon digital camera. 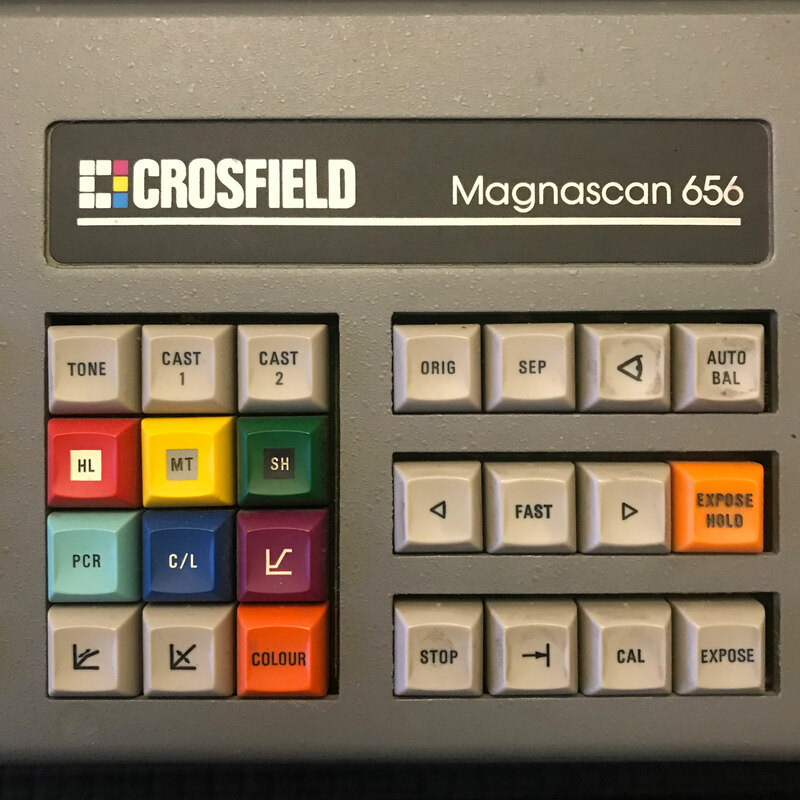 Or, I have them scanned on a Crosfield Magnascan 656 laser drum scanner at the colorhouse. Sure, it’s a dinosaur from c1990, but provides better color than many modern scanners. Originals are affixed to a glass drum, which is installed in the machine. The drum spins at hundreds of revolutions per minute as a laser scans the art. Crosfield laser scanner. Art is taped to the glass drum and taken for a spin. 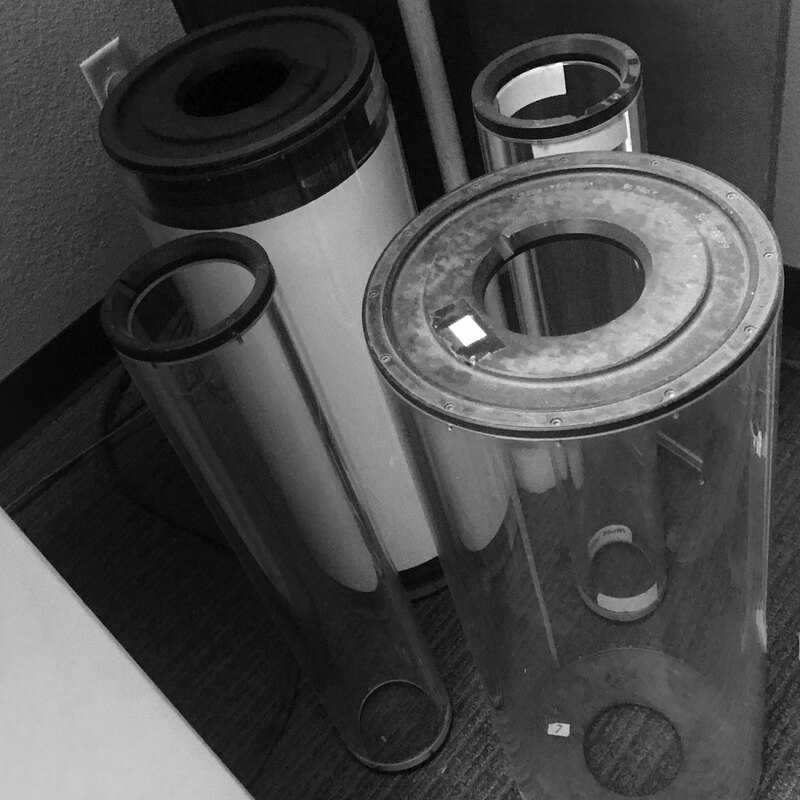 Glass scanning drums for various sized art. Can you hear Martin Denny drumbeats…? 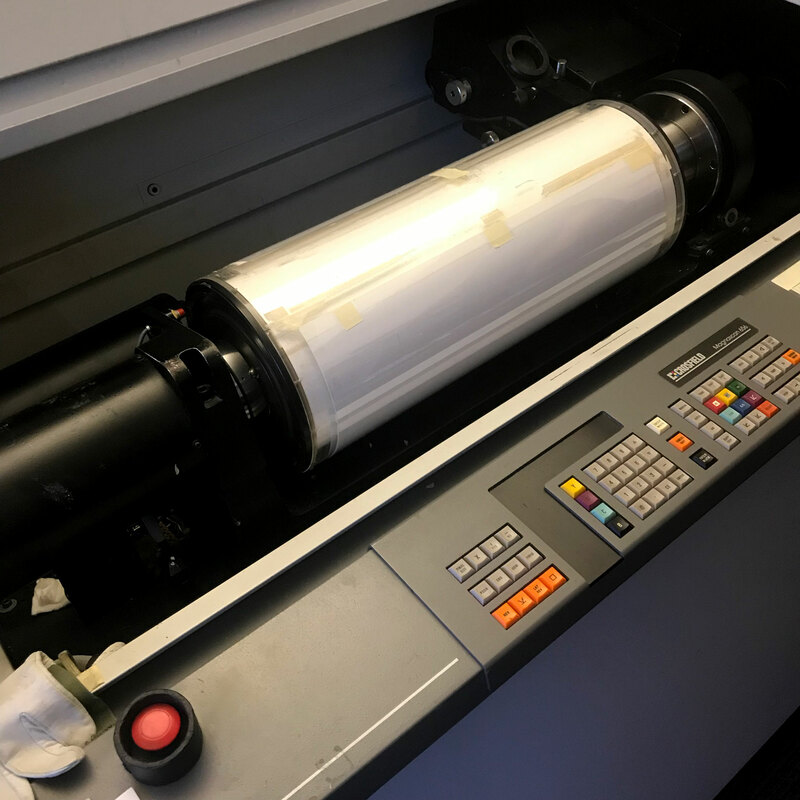 Then all are imposed for print and proofed on EPSON SureColor P9000 wide-format printers. I’m expecting a production schedule from the printer, shortly. I will keep you posted!